Modern life is hectic, and planning it often seems to be a waste of time. However, waking up in the morning and not knowing what to do can be much more pernicious for your productivity than spending a measly 15 minutes planning the night before. Structuring your day requires some major changes in your life. Here are some tips on that. 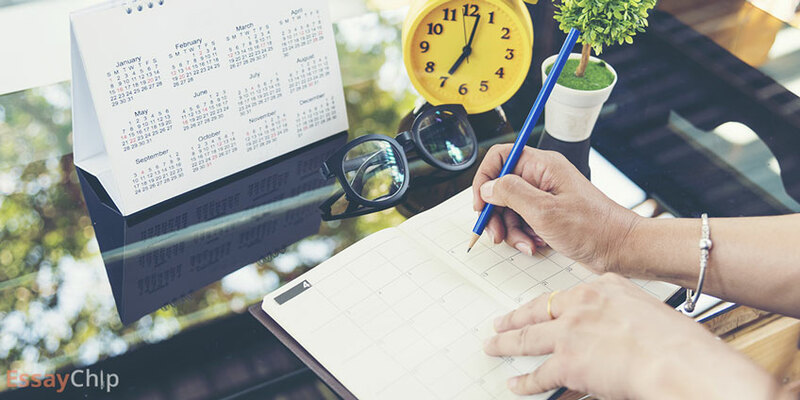 Here you can find some tips on how to organize your day to produce the best results. Yes, you guessed right. In order to structure your day correctly, you need to first plan five years in advance. Try to visualize how you see yourself in five years. Now I sound like an HR manager. No matter how silly, this technique can help you in assessing your priorities. For example, if you aspire to become a professional composer, you need to find considerable time in your daily schedule for this practice. It is easy to get distracted by the present challenges, like having to work in Wal-Mart or writing a college paper. However, it is not those tasks that will make you attain your goals in the end. It is the big dreams that should be your primary focus. Saying no is an important skill to develop. I want to emphasize the word “skill” because humans as social creatures find it hard to violate the social norm of being polite and responsive. However, if you want to become a better self in five years, your every day needs to be dedicated to your goal. Sometimes, it is impossible to avoid certain distractions in life. You may have to spend a significant amount of time at a low-skilled job trying to make a living. In this case, do not despair. You still have time before and after work that you can treat like a separate day and accomplish a lot if you plan smartly. You may feel really guilty at first for not replying to your friend on Facebook or not writing an e-mail to your professor at a moment’s notice. However, disconnecting from societal stimuli is a basic necessity. You need to learn how to focus on the task at hand without dispersing your attention on minor actions that you can easily handle before going to bed. Studying requires a great degree of motivation and concentration. It is, however, easily diminished by instant notifications and pop-up messages. If you want to be successful in your endeavors, you need to learn how to become a hermit from time to time. Leisure time is just as important to plan as your work schedule. The reason being is that a good rest is a proviso for a job well-done. It is proven that not planning your leisure can result in more cortisol being released than after a stressful day at work. It can be anything – from reading a book to going hiking. It depends on your tastes and hobbies. The only rule is that you set targets for yourself just like if it was a job-related task. For example, plan to finish one book a week or increase your hiking distances gradually. The better your leisure days are, the more productive member of society you are going to be.